Sean Don’s new album is out on February 3. 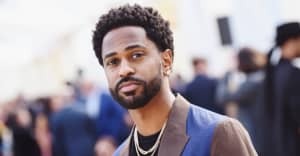 Big Sean has been busy promoting his upcoming album I Decided through a series of TV performances and singles such as "Moves" and "Halfway Off The Balcony." With the album due at the end of this week, February 3, the Detroit rapper has now confirmed the tracks which will feature on the record, as well as the guests he has secured. Other guests on the album include Migos, on "Sacrifices," and Jeremih who appears on "Light." There's a spot for Twenty88, a.k.a. the name Big Sean and Jhene Aiko record under, plus appearances from The-Dream, Starrah, and The Flint Chozen Choir. Peep the full tracklist above.